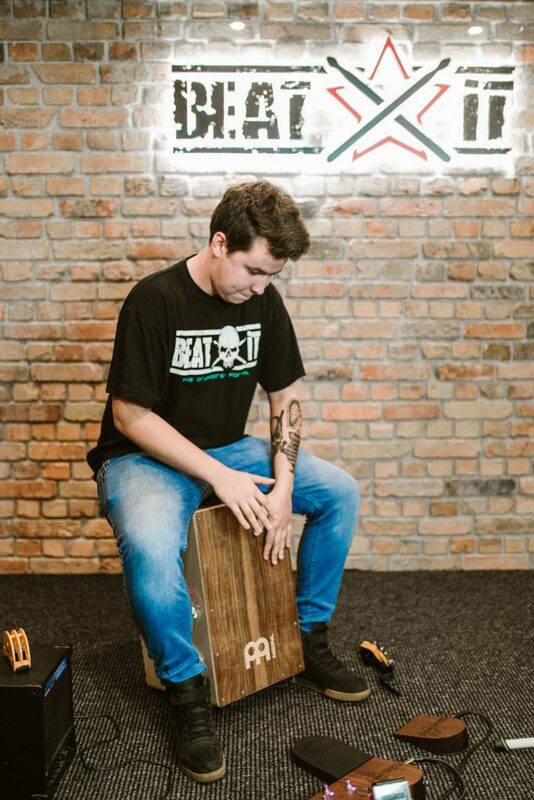 When we visited the Meinl HQ in connection with this year’s Meinl Percussion Festival 2018 (see our video report from the event HERE), we left with two parcels, the contents of which were rather new to us. 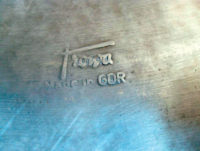 Those were Ortega tambourines as well as an interesting stomp box. We obviously decided to face the challenge and proceeded to thoroughly test the instruments hidden inside. 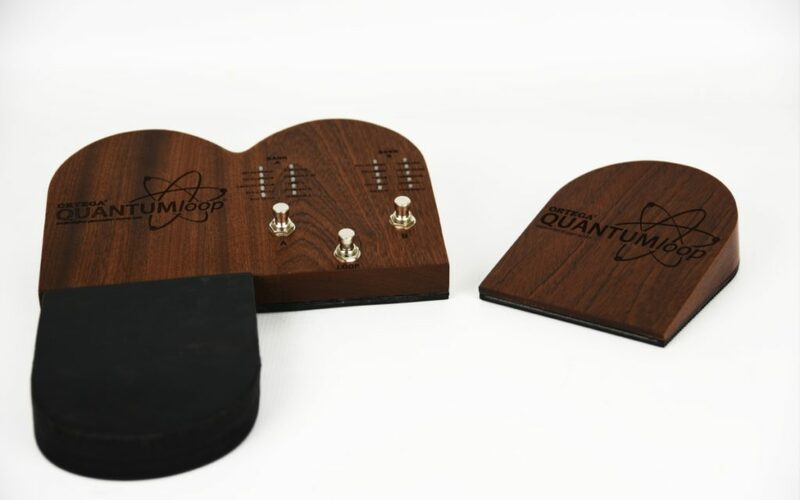 We have already tested the Ortega Singer/Songwriter Tambourine and Guitarist Foot Tambourine (HERE) as well as the applications of the Ortega QUANTUMloop stomp box useful to guitarists. Today, we would like to present the stomp box when used by a percussionist. The Ortega QUANTUMloop stomp box was tested at our own recording facility, and connected to our own electric socket. In the first part of the test, we went through all the sounds the box built in, as well as the possibilities offered by the looper. We asked a guitarist to help us. At this stage of the process, we decided to check to what extent a device of this sort could be useful to a percussionist. 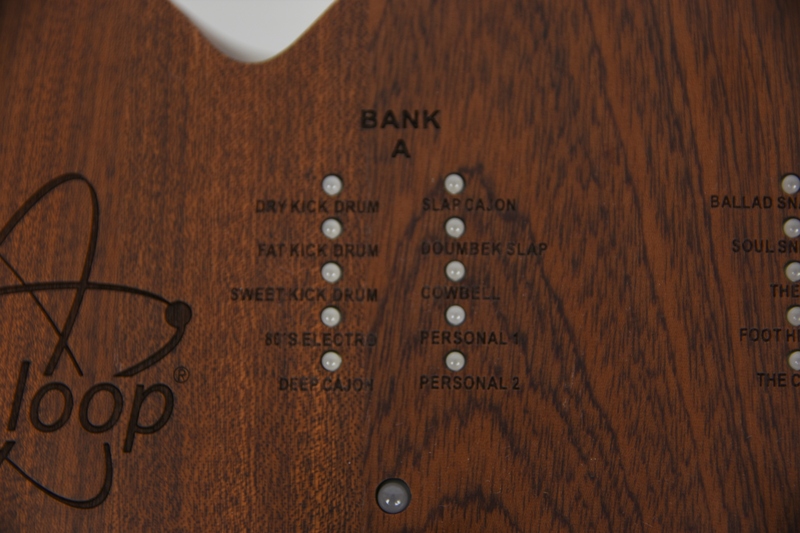 To that end, we used a Meinl cajon. 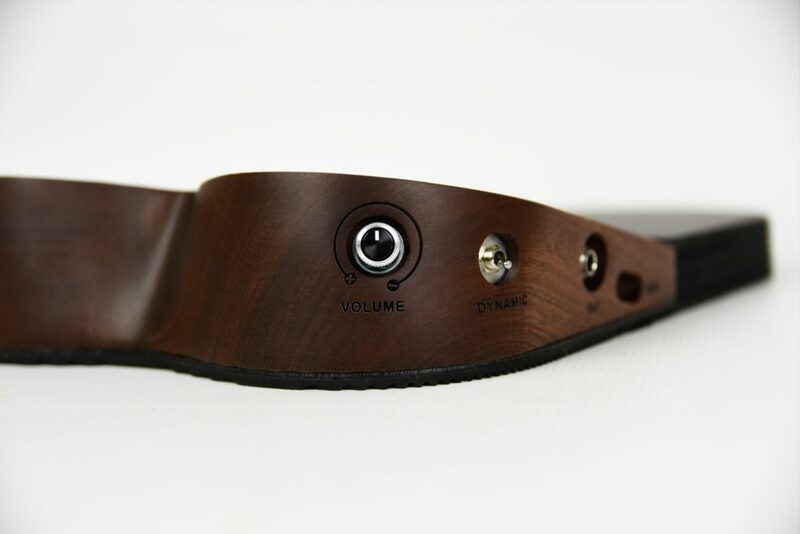 As shown in part one of the test, the Ortega Quantumloop is a device made with guitarists in mind. 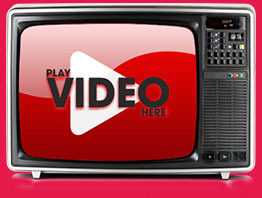 Let us also verify how useful it could be to drummers and percussion players. Operating the pedal is rather easy. The left hand side of the top panel is used for sample triggering while the buttons in the right hand section help us choose the sounds as well as loop them. The user has two banks at his or her disposal: A and B (8 preset sounds and two personal slots per bank). 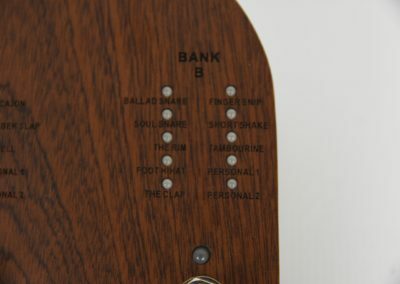 The dynamics switch is located on the left hand panel of the mahogany box. When in the top position, it switches the dynamics sensor off. When in the bottom position, the QUANTUMloop adjusts to the playing dynamics applied by an instrumentalist. 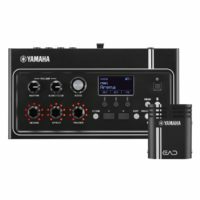 The device is also compatible with a dedicated QUANTUMEXP trigger, which allows for Bank A and Bank B sounds to be triggered simultaneously. This additional box is powered by a 9V battery. Each of the Ortega QUANTUMloop sample banks has two slots meant to store sounds created by the user. They are recorded with the help of the special Ortega QUANTUM Loop 40 software, which is to be installed on the user’s computer. It will also update the device. The Ortega QUANTUMloop is equipped with a looper, which allows the user to repeat a musical phrase he or she has recorded. Part one of the test describes in detail how it should be operated (see: HERE), so let us focus on the box’s application for drummers and percussionists. Our modest idea to utilize the device was to loop a few layers of samples, create a beat in this way, and then play a cajon over it. Obviously, you can use a different percussion instrument. 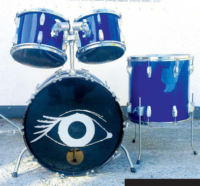 It is an excellent idea for a percussionist who plays solo in the street, in a drum circle or an acoustic band. If you have a different idea as to how to apply the Ortega QUANTUMloop when playing drums or percussion, feel free to leave your comments!